This NYT article offers a good introduction, with quotes from noted federal judges in SDNY (Kaplan Rakoff, et al., about the vanishing criminal jury trial. The myth is that juries delivery better community justice and service on juries makes better citizens. See Benjamin Weiser, Jury Trials Vanish, and Justice Is Served Behind Closed Doors (NYT 8/7/16), here. But, the system from overcriminalization and the resulting smorgasbord of choices given to prosecutors virtually compels a plea agreement in the overwhelming number of cases that are charged. The NYT article is by no means a complete analysis of the issue, but it does introduce the issue in a straight-forward and understandable way. This phenomenon is present generally in the federal criminal system and in the particular subset of federal criminal tax cases. The prosecutor can lard up the charging document with any number of charges arising from a pattern of conduct which may be fairly characterized generally as tax evasion. 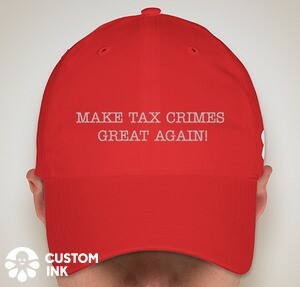 Or he may charge down tax evasion to a lesser crime, such as tax perjury or a tax misdemeanor (although the misdemeanor is rarely charged). The Sentencing Guidelines will usually mitigate the effect of overcharging because the sentence will be primarily driven by the tax loss related to the overall pattern of conduct (including relevant conduct). So, that is good. But the perverse side is that the Sentencing Guidelines offer a better deal for acceptance of responsibility, most often achieved by plea agreement which means, in theory, that the Government's charge of criminal conduct may never get tested by trail (oh, sure the Government and the defendant must agree on the elements of the crime to which a plea is made, but that may not be critically tested). And, of course, the prosecutor has virtually unfettered discretion as to what crimes to charge in the first instance..
Next, Crowe argues that counsel failed to object to the fact that he was being prosecuted for tax fraud when only a fraction of those who commit such crimes are criminally charged. The Due Process Clause does not allow the government to prosecute a criminal case based on an "unjustifiable" factor, such as race, religion, or the exercise of a constitutional right. United States v. Armstrong, 571 U.S. 456, 464 (1996). However, absent a clear and substantial showing of such impermissible conduct, the government's decision to prosecute is presumed to be motivated by proper considerations. Id. ; see also United States v. Hastings, 126 F.3d 310, 313 (4th Cir. 1997) (noting that "[a] criminal defendant bears a heavy burden in proving that he has been selected for prosecution in contravention of his constitutional rights"). "The Attorney General and the United States Attorneys retain broad discretion to enforce the Nation's criminal laws." Armstrong, 571 U.S. at 464 (internal quotation marks omitted). Crowe does not even make a bare allegation that he was prosecuted based on a discriminatory purpose. The government made clear that it was prosecuting him because he had been convicted of very similar conduct previously, and began the process of purchasing Southside less than 30 days after he was released from incarceration. (Ex. 13 § 2255 Mot. at 17-18, ECF No. 31-1.) Therefore, Crowe's selective prosecution argument lacks merit, and counsel was not deficient for failing to raise it. Strickland, 466 U.S. at 687. It is just the nature of our system that many more taxpayers cheat than can be prosecuted and the Government knows of many more that cheat than can be prosecuted. The prosecution bullet is usually retained for use against the worst offenders. I say usually, because sometimes the Government goes after less egregious tax cheats in order to make a point to the public -- e.g., the prosecution of tax protestors or defiers. It can't prosecute them all, but perhaps some prosecution -- perhaps it could be called selective prosecution -- will send a message to the larger group and will, at the same time, give the general public some idea that the Government is "on the beat."